So I did the assignment- Opening Credits Redux (Worth 4 stars). At first, I had no clue or direction of what opening credits I wanted to redo, then I had an epiphany- let me remake the credits to an iconic TV Show- Friends. I will admit it is not at all as good as the originally season openers used but it did give me an introduction on how to use the basic tools in my Windows movie maker (and it gave me a good excuse to sing “I’ll be There for you” on repeat). How did I put together this opening video? One word. Two Syllables and a program almost everyone has used once in their life- Powerpoint. Yes, I am a plain Jane and used Powerpoint, but it proved useful in developing my video. Now with this I used the “Insert tab” to fill in the background to a more appealing color. Then, I typed into the middle of the title slide the title of the show. I then went to the insert tab again and proceeded to add about seven more slides to introduce the cast. The insert tab is the most vital tab in this process you can add color to the background and insert the text for the actors names. The insert tab in this was my best friend, I added the cast pictures, screencaps, and any more pizazz I wanted to add to it. Then I clicked File and hit Save As. This is the most important part because with this, you want to save the file as a .JPG NOT a .WMV, this enables you to upload it later to a movie editor. 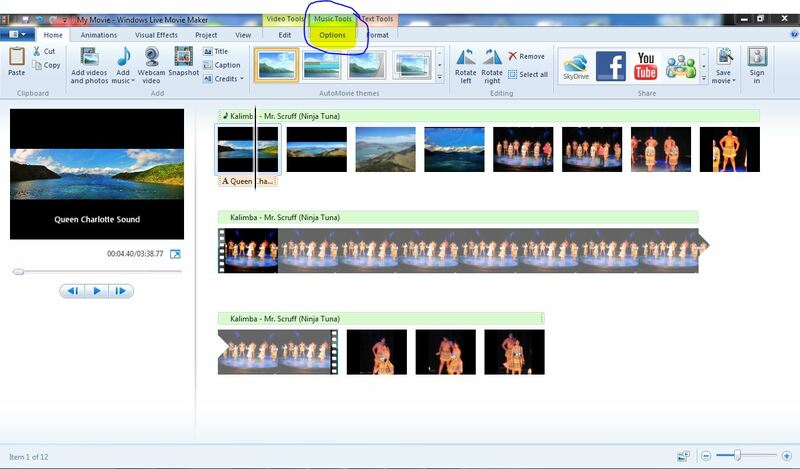 Now, I used the Windows Live Movie Maker, as opposed to iMovie. The first thing I did with this was upload my JPG files onto the program. Example video.- not my own. But I did circle the music tools for later reference. It should look something like this- a sort of frame by frame object. After I played throughout the video a few times to see a smooth transition I then added the music. Now, there is an add music option- but you need to have it in Mp3 before adding it to the video. I also circled the “Music Tools” at the top because this enables the music( or opening theme) to play at the right timing. Then, I uploaded it to Vimeo…which at the moment does take a while to process which is the only problem I seem to have run into with this assignment.